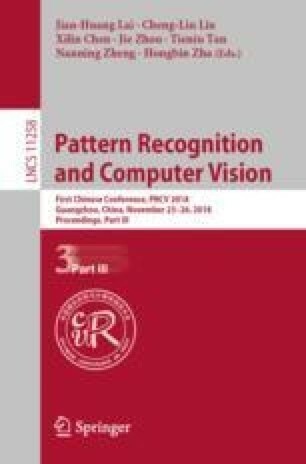 The spatial pyramid matching has been widely adopted for scene recognition and image retrieval. It splits the image into sub-regions and counts the local features within the sub-region. However, it has not captured the spatial relationship between the local features located in the sub-region. This paper proposes to construct the multi-scale attributed graphs which involve the vocabulary label to characterize the spatial structure of the local features at different scales. We compute the distances of any two attributed graph corresponding to the image grids and find the optimal matching to aggregate. Then we poll the distances of graphs at different scales to build the kernel for image classification. We conduct our method on the Caltech 101, Caltech 256, Scene Categories, and Six Actions datasets and compare with five methods. The experiment results demonstrate that our method can provide a good accuracy for image categorization. The authors would like to thank the anonymous referees for their constructive comments which have helped improve the paper. The research is supported by the National Natural Science Foundation of China (Nos. 61502003, 71501002, 61472002 and 61671018), Natural Science Foundation of Anhui Province (No. 1608085QF133).